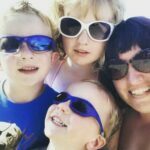 How to Choose the Right Bassinet for Your Baby | Babypalooza Keep your baby nearby in a cozy bassinet. We have buying advice, top picks, and more. When you consider where your baby will sleep, you likely picture an infant crib in the nursery. However, many parents prefer to have their baby sleep in their room for the newborn months. Plus, the American Academy of Pediatrics (AAP) recommends babies room with parents for the first 6 months (or even the first year) to reduce the risk of SIDS. Buying a bassinet is an easy way to keep baby close, comfortable, and safe. But all bassinets are not created equal. According to Consumer Reports (and the AAP), it’s essential to choose a bassinet that has a certification sticker from the Juvenile Products Manufacturer’s Association. Otherwise, you risk buying a product that’s potentially unsafe—which is not a risk worth taking. You should also carefully examine the model you’re considering to spot potential problems. If bassinet has slats, make sure they’re not too far apart. Though you want a beautiful bassinet, make sure decorative features (such as posts) won’t snag. Mesh sides are excellent to keep air circulating. And remember: Compared with cribs, bassinets are small and shallow, which means many are only appropriate for the first 4 to 6 months. As your baby leaves the newborn stage, it’s time to switch to a crib. Read on for tips on how to select the bassinet that’s right for your baby. When you picture the type of bassinet you’re used to seeing in, say, an old-fashioned storybook, you likely have visions of wicker baskets. Many of today’s options still offer that vintage appeal, but the materials are sturdier and safer than they used to be. 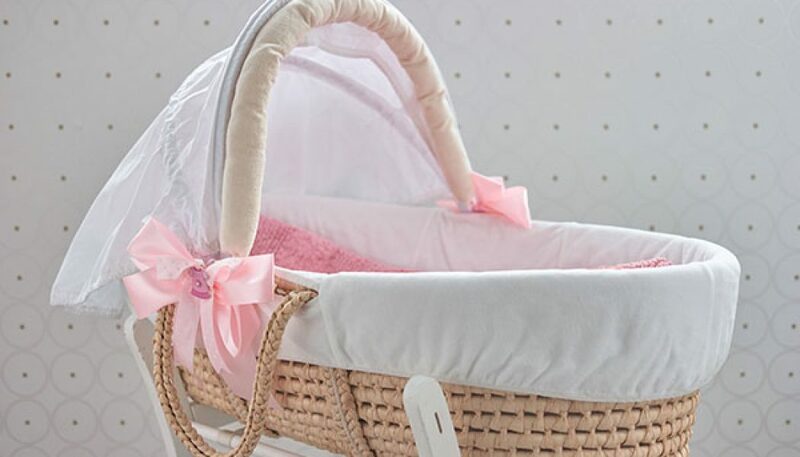 Our Pick: The Pali Designs Isabella Moses Basket looks like a bassinet out of a sweet fairy tale. Designed for babies up to 8 weeks old, the basket includes a coordinating blanket. This sleep option has grown in popularity in recent years. Portable bassinets are designed to keep baby as close as possible, allowing tired moms and dads to take care of baby without leaving their beds. These are adjustable—many can even swivel—and some can be converted into cribs when baby outgrows them. Our Pick: The HALO 3-in-1 DreamNest Rocking Bassinet, Portable Crib, Travel Cot with Breathable Mesh Mattress is exceptionally versatile, converting from rocking bassinet to portable crib to travel cot. It features a rocker attachment and a breathable mesh mattress. Rocking your newborn to sleep in a cozy bassinet can be very soothing. However, the rocking feature can have drawbacks. As your baby gets more mobile, the motion could actually tilt some bassinets enough to press baby against the edge, which puts her at risk for suffocation. Ensure the rocking bassinet you purchase can lock into a stationary mode so you can both rest easy. Our Pick: The 2 in 1 Rocking Bassinet One-Second Fold Travel Crib offers the ultimate in portability: It opens and folds in literally one second! One thing people love about bassinets is that they are much easier to move than cribs. But while wheeled bassinets are convenient, they can also pose a risk. You’ll need to ensure the wheels remain locked when it’s not being moved to avoid a potential disaster—particularly if you have older siblings or pets around. And keep in mind, a bassinet is not a stroller, and baby shouldn’t be wheeled around in it. There’s no denying babies come with a lot of stuff—diapers, wipes, pacifiers, burp cloths—that can end up scattered all over the place. Some bassinets feature handy storage areas where you can neatly stash everything you need to get through the night. Our Pick: Designed for infants up to approximately 5 months, the Arm’s Reach Concepts Cambria Co-Sleeper Bassinet is easy to assemble and offers plenty of storage beneath. For some babies, soft music is the key to drifting off into a deep sleep. Many bassinets offer a built-in music feature, so you don’t have to fumble with phones and sound machines when all you want is to get some sleep. Our Pick: The Delta Children Sweet Beginnings Bassinet features an adjustable (and removable canopy) as well as a convenient nightlight and calming music to soothe baby to sleep. If you travel out of town often or often enjoy spending the night at the grandparents’ house, a portable bassinet can be a lifesaver. Some styles fold to a compact size for easy portability, and many even come with their own carrying bags. Our Pick: Designed to mimic the womb, the Mumbelli Infant Pod is a bed, bassinet, and lounger all in one “portable pod” that you can take anywhere. When you’re shopping for bassinets, always keep safety foremost in your mind. Seek out a mattress that’s not too soft or puffy, because that could be hazardous. Never use a sheet that’s not intended for the bassinet, as it could bunch up or come off it’s the wrong size. You may be tempted to add beautiful blankets, fuzzy toys, and decorative pillows to personalize the bassinet, but this is one case where bare is best. Adding items to an area where baby sleeps can dramatically increase the risk of SIDS. For warmth, rely on tried-and-true swaddling, or look for a safe sleep sack. Also, keep an eye out for recalls for a bassinet, both before you buy and afterward. You should never hang on to baby gear that has been recalled. The manufacturer will get instructions regarding how to proceed.